Does anyone have the 2k version? As in, the version I posted last year before taking it down? I kind of need it now. Thanks in advance! Welcome to volume one of a hopefully thorough but short-lived development blog! Every few days I'll post some thoughts regarding my progress and what I'm doing at that given time. Blogs have been woefully underused as of late, and I want to help reverse that trend! This week I'll talk about two aspects of my early development cycle: visuals and the screenplay/story planning. Let's get started! A few great things have come out of the last two weeks, even though I haven't had a chance to work on the game all that much. Of course, the most obvious example is that Newblack and I partnered on making some new icons and logos/titles for the game. Miracle also helped me out with code for the page background. Tell me what you think! They represent, in order: sword (attack command), star (skills), wrench (utility commands), switch (trigger commands), potion (healing, etc. 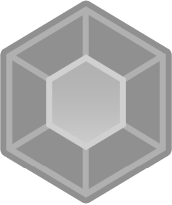 ), shield (defend, etc. ), boot (escape/run), augment types 1/2/3, enhancer jewels (for weapons), cash/gold, key items, magic stocks/energy, fire, water, wind, mountain/earth, poison, blind, silence, sleep, scan/target, steal/thief bag/loot. Newblack did about 2/3 of the work; I did the switch, half of the shield/augments, the enhancer jewel, the credits sign, the wind/earth logos, and some other changes. Pixeling can be fun if you have a lot of free time! Take a guess which is the old version and which is the new one! I still have to edit the sprites...charas will be my friend, methinks. I love this font - it just has that "RPG" feel to me. It feels a bit more "fun" for some reason. Maybe I'm just crazy - what do y'all think? Note how I set the margins to be equal to that of RM2K3's textbox limit. Of course, I still have to manually insert line breaks to ensure that the breaks stay when pasting the text into RM2K3. Oh joy! It's still fun to create the script in a word document; it allows me to send it to friends for evaluation. I want this script as polished as I can make it! Feel free to leave me some thoughts on this idea, or of the excerpt I posted. I'm gunning for late September - preferably September 20th or so. I want to have the script, graphic preliminaries, and planning done by the end of this month. August will be all about polishing the script and getting the battle system and menus/alchemy systems completed. September will be cutscenes galore! If I have to axe some of the graphic edits, I will. And I may have to - if I use the "trigger command" system, I'm going to have a TON of unique battle animations. I may have help on that front, though...more in a later blog, perhaps? We'll see what develops! I've yet to go full-swing into development, sadly. However, I have a few days off this week - maybe I'll find the time! I'm also reading the wonderful New Jedi Order series, so a sizable chunk of my free time is being sapped on that front. The bottom line is that the visual aspects of Carlsev Saga 2k3 are going to be developed not just by me, but by a team of awesome folks. And the work-in-progress screenplay will hopefully receive the approval of at least a couple of people before making its way into the game! Alright, I'll just spell it out now. 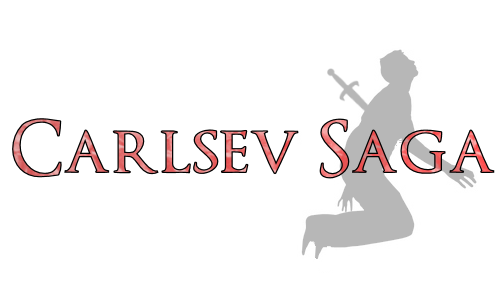 Carlsev Saga: Episodes One and Two are being moved to RPG Maker 2003! Streamlined and overhauled alchemy system - even more overhauled than the Deckiller/Ashriot version seen in the images tab. The focus will be on continuous, incremental improvement without having to travel to alchemists - but there is a catch. There will be stat caps to prevent system abuse! More details in the coming days - I have about five possible directions to take this system, and I want to get it right. Improved characterization and simplified cutscenes - the focus will be on a more succinct presentation of exposition, as well as deeper characters. A much more focused mythos and clear backstory for some elements of Carlsev culture - the player will be much less in the dark about certain "mysteries", which should help set the stage for future installments. Better battles. More widespread use of Trigger Commands - and a special gimmick in the same vein that will be introduced in the coming days. Better graphics. Interface and graphics assistance from Liberty, NewBlack, EnderX, and Ashriot. Special battlers. Consistent use of Mac and Blue chipsets (or similar styles), and an emphasis on edited RTP charsets (which go well with the M&B). Possibly a few original monster/human enemy sprites from Kyrsty. Better mapping. The laughably poor mapping of Carlsev Saga 1 will at least be passable by the end of production. Magic Draw system usable by many more characters. Players can now learn slightly stronger versions of magic skills permanently by bundling magic stocks with "memory crystals". This offers a dual strategy: those who like drawing magic can still use the system for no MP cost (as long as they have the stocks), but those who prefer classic skill-based magic systems will have their wish granted with relatively little effort. The inevitable MP cost of the learned skills is offset by the extra potency, which offers an interesting strategic choice: stocks or skills? Monster parties that encourage use of the draw system. Say an enemy party has a strong hitter weak to blind, but a mage-type that can heal blind and cast status effects. You can draw blind from that mage and use it against the strong hitter! This extends to elemental weaknesses, AOE healing against AOE hitters, and so on. New "Augment" equipment system allows players to fuse magic stocks with "augment crystals". There will be three slots available for augments: Offense, Stamina, and Other. Offensive augments will bolster either attack or magic; stamina augments boost HP or MP, and other augments will yield anything from elemental/status resistance to after-battle bonuses! Also. BOSTON ARE NHL CHAMPIONS. PARTY ALL NIGHT, ALL WEEK, ALL DECADE. This isn't the big news, but it's sort of a precursor. Newblack did 'em. I just bossed him around George Lucas-style for like 5 hours. He should get makerscore by default. I need help figuring out what scheme to go with, so here are a few options. Seven was nice, but it's more for a title screen than a banner/logo. Please let me know which one you like! I am so undecided. Stay tuned - I will have a major announcement in the coming days. Some of you already have an idea of what it is. EnderX made some nice battler images of various Carlsev characters, based on Romancing SaGa. They got me thinking...should I copy and paste this to 2k3 and modify the battle system accordingly? I'm very torn on this. People tend to enjoy 2k3 more than 2k, but this game is really geared toward 2k - even the battle music and strategies. What do y'all think? Should I just keep it in 2k, or move it? Should I move Part 2 to 2k3 and consider making Part 3 in VX or XP? Either way, graphic design is my weakness! In previous versions of Carlsev Saga, the numerous parties of the game had independent stats (in addition to their own skills and whatnot). I feel that was a mistake. Because of the stat-based nature of the tonic system, combined with the revolving door of playable characters at times, I'm thinking that it would be beneficial to transfer the stats from party to party. This gives players a common link throughout the game; they won't feel that they beefed up their characters for nothing (and vice versa). Plus, each party has one physical user, one magic user, and one balanced--people would reap consistent benefits by allocating more magic tonics to magic users, and so on. 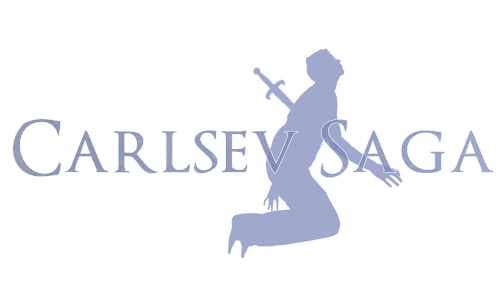 Here's a brief history of Carlsev Saga. Hopefully it will offer some insight in my beginnings as a game designer! In late 2007, I was a fresh-faced RPG Maker recruit on the shores of Ultima Island (a cool site). A few of my IRL friends and internet buddies were interested in creating mini-RPGs, so we decided to create a project called "Short Stories: A Collection of Mini RPGs". Each minigame would be centered on an atypical protagonist who was neither good nor evil. In the end, all of the protagonists would gather for a final short story after critical events in their lives. 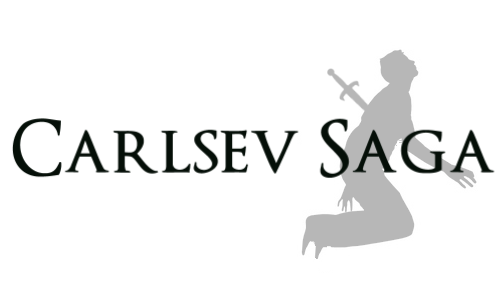 Four games immediately began materializing, including two of my own: "The Defender of Carlsev" and "The Desert Exile." Within a week, I had a draft of "The Defender of Carlsev" finished. It was basically a 90-minute adventure with mostly RTP graphics (with the exception of a few songs featured in newer incarnations of the project). It began right at the start of the Carlsev Castle night fights and ended at the arena. There was no alchemy system - just very basic gameplay, as it was only intended to be a short game among many. The whole thing took me about 6 days to complete, but I was excited: I had made a game! The first of my life! "The Defender of Carlsev" included my "first grade final exam" - a brief "evade the guards" sequence underneath a fort. This guard evasion sequence exists to this day, and all but the mapping is unchanged. I called it my "first grade final exam" because it involved use of numerous switches and - for the first time in my RPG Maker experience - variables! My mind was blown. I had a lot of fun with that segment, and remember that day very vividly. My parents were going out to eat at one of my favorite restaurants, and I opted to stay home instead to work on the dungeon. Now that's dedication. That was one of the best weeks of my life, hands down. Honestly, "The Desert Exile" didn't make it far into development. I had a pretty neat world map, but that was it. The game would've basically looked like a cross between A Blurred Line and Three the Hard Way. It would've starred a group of amnesiac exiles -- Soren, Krystle, and Nathanson -- as they struggled to live among a colony of desert dwellers who had been trapped for generations by sandstorms in all directions. These dwellers made constant sacrifices to their Gods at the Desert Temple - sacrifices that included some very valuable resources harvested from the desert and beneath its surface. These exiles would discover the truth behind their situation: they were basically living in a prison colony, and all of their "sacrifices" brought to the "temple" were really being shipped to the semi-futuristic society beyond the sandstorms. Their adventure would have taken them to various temples, as well as to the mammoth Sandstorm Generators and a spaceport. This spaceport led to a space station with a powerful orbital weapon - the destination of all those special resources the prisoners were gathering. In turn, this orbital weapon had the power to wipe out entire cities: this society would have ruled the planet by fear. "The Desert Exile" would've been a fun short story, but the entire project fell through in December 2007. I decided to choose one project and convert it to a full, 10-hour RPG Maker game. Ten hours! I was deemed insane. Ultimately, I chose Carlsev Saga simply because I had plenty of room to continue the story; as a matter of fact, the intent was to just tell a brief part of a much larger tale, one that would be left to the imagination. I quickly began working on mapping out a 10-hour story that included a brief introduction to the Carlsev Revolution, as well as a story arc involving - who else - Soren, Krystle, and Nathanson. I decided to incorporate some of the elements of "The Desert Exile" into the story - nothing that I really mentioned above. I don't want to give away spoilers in this blog, after all! I also started considering cool new ways to make the game more intuitive, since it was going to be a pretty lengthy game. Two ideas came to mind: elements and alchemy. The elements idea is pretty basic; nearly every RPG with some semblance of strategy has a weakness and resistance system, and I felt that natural elements fit in with my "Essence" concept quite well. Alchemy came around because of my love for Final Fantasy VIII and (at the time) Final Fantasy XII. I loved the idea of collecting and using all sorts of items for character advancement. Thus, the Alchemy System was born. These concepts were decent hits, and my refined version of The Defender of Carlsev was very well received. January 2008 became the month of expansion for the project - I began working on the third and final "arc" of the game, a gameplay-driven gauntlet of numerous dungeons, littered by alchemists, save crystals, and (at the time) cool gimmicks. This third arc was clearly very different from the first one, as I didn't have much story to tell. I really just had to get these characters from point A to point B, and point B was across the continent! Indeed, I wanted to flex my mapping and dungeon skills and focus on refining my ability to create a good game, not a solid continuation of an intense story. Sadly, there isn't a whole lot of intrigue in this arc (until the end), but there are definitely a ton of items to collect, enemies to fight, and areas to explore! I fell into that Final Fantasy XII trap, you could say. Though this version was more like Final Fantasy XIII in that there weren't very many optional areas. I'd correct that later. By February 2008, all that was left was to create an intro and work on the second arc: a very story-driven segment full of rapidly developing events. I kept the gameplay laughably simple, mainly because I didn't want a hard boss destroying the momentum of the events. I found it amazingly challenging to encode this story in the form of cutscenes - it was almost painful. By the end of the month, I was getting burned out and just wanted to move on to my second project. Carlsev Saga I was released on March 11 and received very strong praise on UI, mainly because not many completed games get released there. Most of the criticism was three-fold: (a) inconsistent characterization, (b) lack of optional content, and (c) the second arc's gauntlet of cutscenes. Somewhat surprised at the positive reception, I decided to forgo working on a second project and get to work improving what I had. By this point, I had most of the trilogy planned out, and saw many potential plot holes to be filled. Plus, I was a little disappointed in the linearity of the game. By the summer of 2008, I was at work fixing these issues under the planned title of "Carlsev Saga I: The Special Edition". And that's where I got my first taste of Development Hell. - Take full advantage of spring break in two weeks to rework the cutscenes. 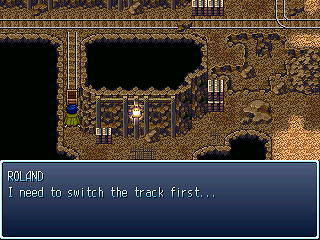 - Spend the rest of march polishing the mapping, cutscenes, and other things of the sort. - Spend all April tweaking up the gameplay and fully implementing the alchemy interface that Ashriot helped me make. I'll be working on this alongside The Encephalon II (which is halfway complete in terms of allotted development hours). We'll see how it goes. What's the plan after that? Who knows! Will I finish the trilogy? Perhaps, but I would probably condense it down into one game (sort of like Xenogears Disk 2).